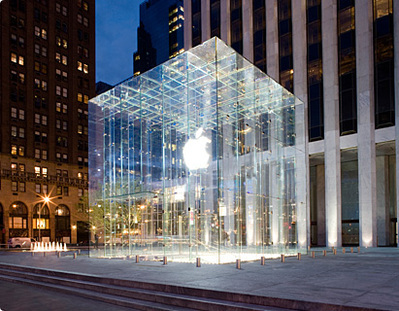 Apple is preparing to release the iPad 3 and the iPhone 5. The next generation of iPad and iPhone may be launched before Christmas of 2011. Reports say that Apple has already placed orders for components included in the future versions of iPad and iPhone. The iPhone 5 is supposed to have a powerful A5 processor, with a camera of 8 megapixels and a mini micro SIM card. It is thought to be released in the fall. A Boy Genius Report says that the new iPhone will be more than an improved version of the older ones. It ill be something completely new, from the shape to the soft features. Apple Insider reports that Apple had scheduled the releasing of the iPhone 5 after finishing the version of iOS5 and iCloud. Last week, Apple started selling a new improved version of iPhone 4 ( unlocked ), making space for speculation that it wanted to create a cost barrier on the iPhone 4 ( which is now about one year old ) in order for people to wait for the new, fifth generation of iPhones. At present Apple is testing a new generation of iPad. The new version includes a higher resolution than the second generation iPad. It is getting closer to the resolution of the iPhone 4that has a 3.5 inch 960 x 640 screen. Up to this moment there isn’t a date settled for the launching of the new iPad, but it is believed it will hit the stores by the end of this year. According to IT Pro, the launching of a new version of iPads is not as a priority for Apple for two main reasons. One is that the second version of iPads is still selling like hotcakes. Second, Apple doesn’t really have competition in this sector. With over 100,000 iPad applications available on iTunes the possible competition – Samsung and HP – seem very far away in the race. DigiTimes reports that Apple will make the official announcements in September and it is expected that the products will be on the store shelves in October. That’s interesting considering apple just made their beta program open to the public.